The eBay Partner Network is the internal division of eBay now placed in charge of managing affiliates for eBay. This recent change from the Commission Junction program initially was presented as a good thing for eBay and therefore a good thing for eBay sellers. After recent announcements of an alteration in the payment structure for eBay affiliates and reports of discrepancies in reporting by the Partner Network to its affiliates, it now appears the switch away from Commission Junction may not be the best move for eBay or its sellers. Many of our readers concentrate on selling physical products on eBay. Why should eBay sellers be concerned about affiliates? 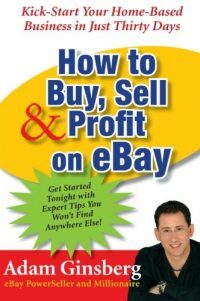 eBay is attractive to many sellers because it is a proven source of what sellers desire most... buyers. Many merchants have compared the flow of buyer traffic to that of the flow of water from a fire hose and many say this flow of buyer traffic becomes addictive. So much so, that some merchants find it difficult to set up other selling channels once they establish themselves on eBay. 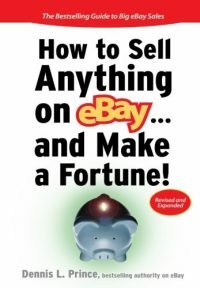 Since eBay enjoys the reputation of being one of the best places on the Internet to find the buyer traffic merchants need to sell goods. eBay's traffic is one of the main reasons many merchants have never explored establishing an Internet presence of their own. Consideration should be given to the sources of that traffic and anything which may disturb the flow. Ever wondered where the traffic comes from? eBay collects eyeballs from web surfers in many ways. One of the most successful methods has been through traffic driven by affiliates. Affiliates are simply people or companies who own websites which generate their own traffic in specific niches by providing content people search for and want to read. When the person or company which owns the website desires a method to monetize the website (and be rewarded for the work and expenses necessary to present the unique information they provide the world) they can choose to become an affiliate. Affiliate programs are available for thousands of products and websites. eBay historically has had one of the strongest affiliate programs available, as has Amazon.com. Website owners who chose to become an affiliate have many choices of affiliate programs to promote. When making the choice to promote one program over another on a website property, payout and reporting are primary considerations. Commission Junction was not a perfect system, but it was trusted and many affiliates were comfortable with the revenue generated by the eBay affiliate program as manged by Commission Junction. Now it seems these same affiliates are not as comfortable with the eBay Partner Network. This is a problem for eBay sellers because if the affiliates choose to shift their traffic to other programs, eBay sellers lose. I have heard many eBay sellers speak in a negative manner about affiliates. I think this is just a matter of not being educated about the importance of the affiliate network for the very livelihood these eBay sellers are trying to carve out for themselves. Without affiliates sending traffic to eBay listings, eBay becomes a much less attractive place to sell physical products, simply because without affiliates, less people will be buying on eBay. Is eBay driving affiliates away with the new eBay Partner Network program? Months ago, I wrote a blog post describing my favorite way to make money online. In short, it is a cycle of doing keyword research, creating a website that targets those keywords, doing some promotion and continue the cycle, in hopes that each website created will reach an earnings threshold of at least $1/day. While I still very much believe in the $1/day per site method, I have decided not to do so using the eBay Partner Network. Ever since eBay switched from Commission Junction to their in-house affiliate network, myself along with many other eBay affiliates have noticed a big drop in earnings, and while there is no way to prove it, it just seems like reporting isn’t as accurate as it was before. To alleviate any uncertainty or stress, I’ve decided not to monetize my websites with eBay’s affiliate program, and am going to focus more on optimizing these $1/day websites with adsense, affiliate products, and list building. I may return to the eBay Partner Network one day, but until I’m fully sure that I don’t have to worry about any inaccurate reports, missed sales, I’m not putting any eggs in that basket. I do hope that the eBay network stay good, I have some associate’s who are still plugging away and doing OK with it, but they tell me that workload has almost doubled for the same revenue generated.. The eBay Partner Network announced some changes as of August 1st affecting their ACRU (active confirmed registered user) payouts. 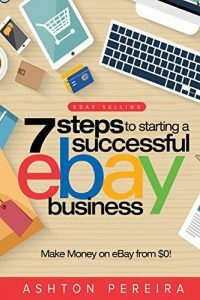 There are two ways publishers make money with the EPN, sending traffic to eBay that results in successful purchase or signing up new eBay users. If a user signed up via a referral from your site you would get a flat amount for that sign up. Under the new policy the quality of the account created is taken into consideration, by judging the expected lifetime value, in determining the payout for the account signup. All publishers will be put into tiers based on the quality of traffic sent with the tiers ranging from $0 - $50 dollars. When I logged into my eBay Partner Network dashboard I saw the news alert concerning the change but couldn’t find a link showing the actual tier structure and where each payout threshold lay. I’m sure there will be some grumbling about this as the ACRU payouts always seemed pretty ripe for gaming by scam artists, I just started working with the EPN so this doesn’t negatively affect me. Which brings me to a little status update concerning my EPN / McJiffy websites, discountroombas.com and joshhamiltonmemorabilia.com, both so far have brought in a little money. The discountroombas.com site has been doing much better earning $14.08, and I’ve only paid out $12.35 in PPC campaigns. On the other hand joshhamiltonmemorabilia.com isn’t performing quite as well, it has made only $4.44 after spending $19.63 in PPC campaigns. Not exactly encouraging. But I do think I can improve the Josh Hamilton site by tuning the landing page, it’s currently using the McJiffy default, maybe embedding a video of him from the home run derby and putting some better graphics will excite people more and result in more conversions. I’m not overly concerned yet, with eBay’s 30 day look back window for conversion tracking the site could start to move towards positive ground soon, I’ll need to do some link building to improve organic traffic with that site. Seeing the success I am already having with the Roombas site I decided to try another high margin product that does well in the aftermarket, Apple MacBooks. I purchased discount-macbooks.com this morning on godaddy.com, I plan on having the site up this afternoon. “As part of our ongoing effort to reward our best marketing partners and promote trusted commerce on eBay, we are implementing a new pricing structure for Active Confirmed Registered User (ACRU) compensation. The new pricing scheme is based on quality, instead of just volume, and will reward top publishers with up to $50 per ACRU driven to eBay. Starting today, August 1st, new publishers that join the eBay Partner Network will be placed in this new quality-based pricing structure for the US program. All publishers that joined eBay Partner Network before August 1st will remain in the existing pricing tiers for a few more months so you can have time to look at the data and see how the change will affect you. As of November 1st, all publishers will be placed in the value based pricing structure for ACRUs. good, consistent traffic won’t see a lot of variability from month to month. Publishers that join after August 1st will be able to see what tier they fall in by going to the programs tab and selecting payments structure for the US program. This tier will be updated on the 9th of each month and will reflect the score for the previous month. The tier will be 0 for the first month while we calculate your first score. Note that your ACRU earnings in your reports will reflect this tier. If you joined before August 1st, you will continue to only see the same volume-based tiers for now. In September we will release a new separate report that will allow all publishers to break down, by campaign, the quality of the ACRUs you are driving to eBay. We will send more details about this report in a few weeks. Please note that this change only affects compensation for new user registrations (ACRUs). Payouts for revenue share will continue on the same volume-based tiers for both new and old users. While the current change only affects the US eBay program on eBay Partner Network, we are evaluating this system on a country by country basis and will provide additional updates as they become available. and in the user guide in the advertisers and programs tab under “value-based pricing”. We want to continue to reward quality publishers and seek to continuously improve your experience in the program. Affiliates are not the only people who should be concerned with this shift in attitude by eBay. Sellers should also keep a close eye on this situation. By taking over the affiliate management from Commission Junction eBay had a golden opportunity to reward affiliates more effectively. Now it seems eBay has made this move to simply reduce the payout to affiliates and therefore increase its own revenue derived from seller fees. Increasing revenue by reducing costs is a short term move which could impress the Wall Street analysts. A large portion of the seller fees at eBay pay the affiliates, no matter how you look at it the fee structure at eBay is high. Many sellers do not understand the reason why these fees are high but they do understand that as Sellers they expect value from the fee structure. One essential component of the perceived value of the eBay fee structure (the most essential component), is quality traffic. Revenue at eBay will then begin to slide in a downward slope. 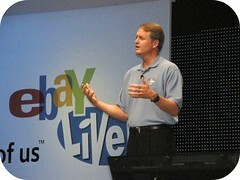 Is this all part of the disruption Mr. Donahoe, eBay's CEO, has proposed? What will Wall Street think of that plan? Coca Cola and Twitter – Am I Worthy of YahooBuzz? Thanks for the great post Scott. Great real-life examples. It’s hard to run a business without traffic. It’s also hard to love eBay and the many changes that have been brought about this year. Not a fan of the ACRU change, as it seems unnecessarily cloudy and confusing, but overall I’m generally happy with the switch to EPN so far (at least after I changed over most of my links…that was a lot of work! Still updating some custom links). I’ve topped what I was averaging from CJ every month so far, the payments actually reach my bank account a couple of days earlier each month (so I can now somewhat count on my EPN money as part of the kitty towards my monthly eBay bill again), and I find my way around their reports easier than I did with CJ which always confused me. It’s still my top earner outperforming AdSense and absolutely blowing Amazon out of the water (which I still can’t understand! Amazon products are extremely relevant to my site, and they should do just as well, but it’s never been close). Yes, I must admit I trusted the program more at CJ and was devastated at the amount of work put on my plate when the switch was announced, but so far the bottom line is even a little better so I won’t complain. This quick change in policy (ACRU) is unsettling however. It definitely shows that the move in-house had more of a reason behind it than simply getting the program in-house. Hopefully this isn’t the first shot in a series of changes and that they can leave well enough alone for awhile now. After all, eBay seems to be focused on making buyers happy right now, hopefully they still put a premium on acquiring them. Most interesting and extremely informative on a subject I know very little about but obviously need to know more. I do know Cliff wouldn’t lie so maybe he is producing a better quality of referral? I do not believe for a minute this was done for any other reason than to save eBay cash outflow. It is the classic ‘trust me’ skimming the edge of bait and switch eBay play. eBay will access its proven quality crystal ball, “the higher the expected lifetime value of the customers a publisher sends, the higher the tier the publisher will receive.” which will run on proprietary secret algorithms based on the old 10 for me and one for you ‘sharing’ plan. In the short term they will cut out the CJ layer and given the time of year it may produce substantial savings through the season with benefits 3Q & 4Q to the Marketplace divisions. Sellers will pay for it throughout, as they pay for everything now. Food for thought – less sellers to share the bill, higher payments. Yes, most of mine are pretty targeted, which is why it was such a pain for me to change the links (I think I still have old links up from the last time they changed them in CJ!). Basically tailored to my site, searches for specific movie stars by name and specific magazine titles. I don’t get a lot of new users coming through, I mean who the hell isn’t at least registered with eBay at this point(! ), but a few per year (I guess them! ), so I will be curious to see what I get for them. We’re a marketing company driving traffic to European eBay sites and have lost 55% of our revenue since the switch. We pulled the plug almost immediately and were offered a bonus which would match what we were paid with CJ in order to continue sending 15,000 – 20,000 visitors per day, however they shorted us on the bonus as well and we have pulled the plug once again. We’ll try them again around Christmas, but in the meantime it’s better to promote Amazon or Shopping.com as they at least produce a small amount of profit. The new eBay program cannot even produce profits from Google traffic bought at 5 cents per click. There are hundreds of niche merchants which would produce an ROI of 100% or more on Google traffic purchased at 5 cents per click, but the new eBay program produced -13% ROI..
Well there goes 6 years of work.. If you look at eBay’s stock you can see that they are desperate for something to increase revenue, but they have truly failed miserably with the god awful ebay partner network. This will go down as one of the biggest disasters in internet history. eBay stats have been off from our own tracking ever since they start using their own system. And now they cut affiliates w/o any reason. Considering that they hold a monopoly for online auctions and all already targeted with class action suits it might be better for them not to irritate more affiliates or users.